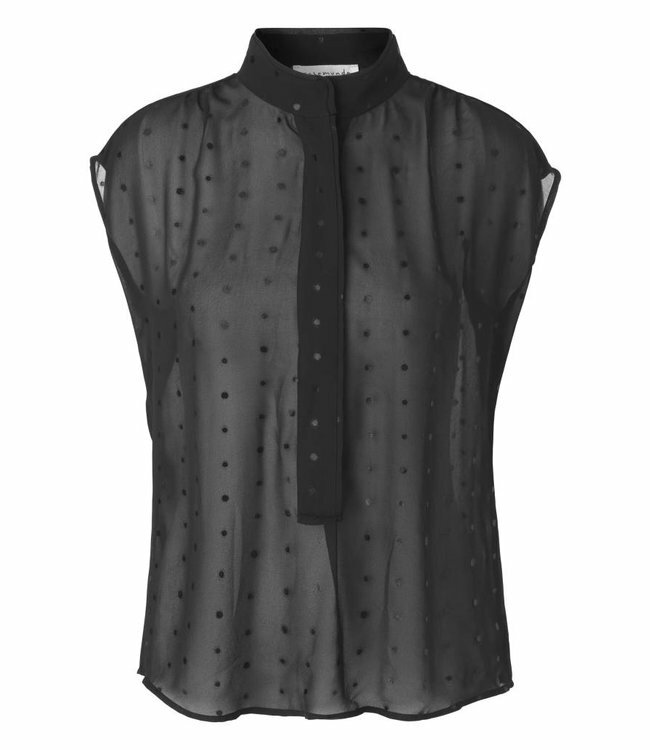 Beautiful top made from a slightly transparent viscose fabric and featuring subtle dots. An elegant top with a mandarin collar and a concealed button panel. It is loosely draped towards the rounded hem.